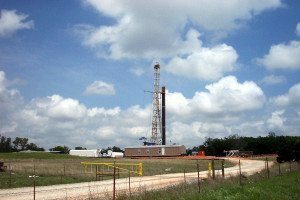 On Tuesday, April 22nd, 2014 a jury returned a $2,925,000 verdict for a Texas family who suffered health problems and property damage from fracking wells near their property. It is reportedly the first time a fracking company has ever been held responsible for health damage from fracking operations. Don and Lisa Parr and their daughter Emma sued Aruba Petroleum, Inc. for intentionally creating a public nuisance by drilling, fracking & producing from 20 wells that are all located within 2 miles of the family’s ranch near Decatur, Texas. The family can no longer drink water from their well, and all have suffered nose bleeds, chronic migraines, dizziness, nausea, and rashes. Robert Parr testified that his daughter Emma sometimes woke up in her bed covered in blood from her nosebleeds. Ranch livestock also suffered nosebleeds and other maladies. A cow that had had healthy calves before the fracking started delivered a dwarf cow. Currently, Thornton Law Firm is investigating a number of fracking cases involving birth defects or other reproductive disorders, in Pennsylvania and Colorado as well as other states. If you believe you or a family member has suffered ill health consequences as a result of nearby fracking operations, Thornton Law Firm has represented individuals affected by toxic and environmental harm for 40 years. The firm’s lawyers have fought the tobacco, lead paint, asbestos, chemical, and pharmaceutical industries successfully on behalf of individual and class clients. We represent many clients whose children have suffered severe birth defects as a result of a parent’s chemical exposure – including exposure to glycol ethers. If you have questions about your legal rights, call Thornton Law Firm at 888-491-9726 today and a lawyer will be happy to speak with you and answer your questions.